If you’re new to my blog, check out the first part of my adventures with HDP13. A short re-cap. HDP13 is a microfilm that was manufactured by Agfa. It was made in Belgium. 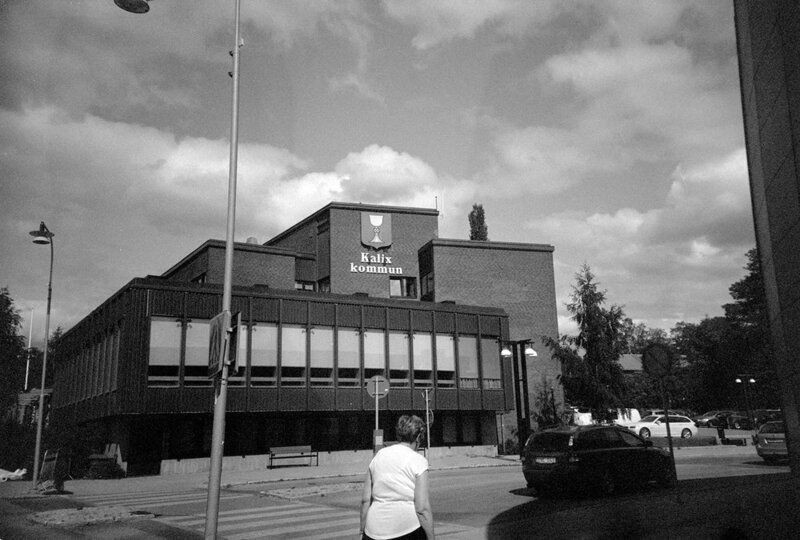 The last rolls of film in Agfa Belgium was made somewhere around 2004. My roll has an expiration date of 10/2011, which probably makes it one of the last rolls to get manufactured. Finding information about this film is difficult. Agfa made a range of microfilms, there’s at least HDP06, HDP10 and HDP13. And then they have Copex Rapid PET06 and PET13. The numbers are related to size, the two Copex Rapid ones are just different thickness of the film base. So probably in essence they made just two different emulsions. Somewhere, at some point, I read about using C41 developer for high contrast film (the article was about Tech Pan), and since I have a bulk roll of HDP13 and some C41 developer that is no longer good enough for important work, this was a good occasion to try it out. 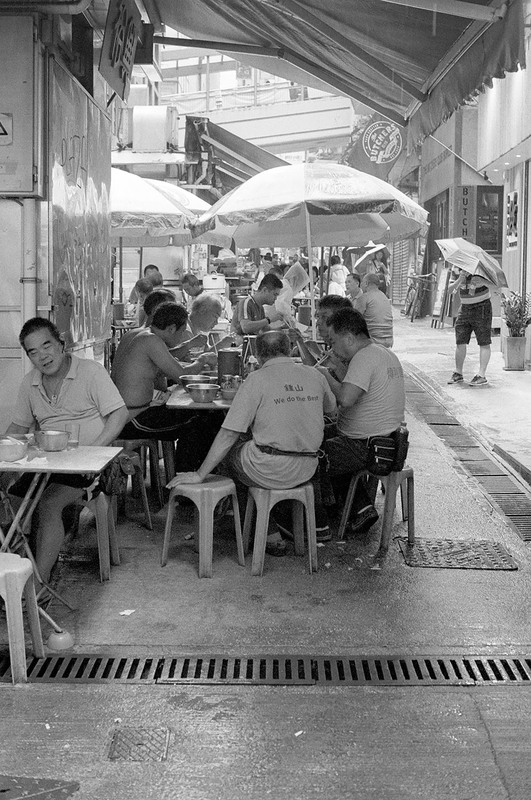 I have not been able to find much information about cross processing black and white film in C41 developer, just some people who (falsly) claim that it will just render blank negatives. So, for my first trial I started out with ISO25 and bracketed one stop over, ISO12. 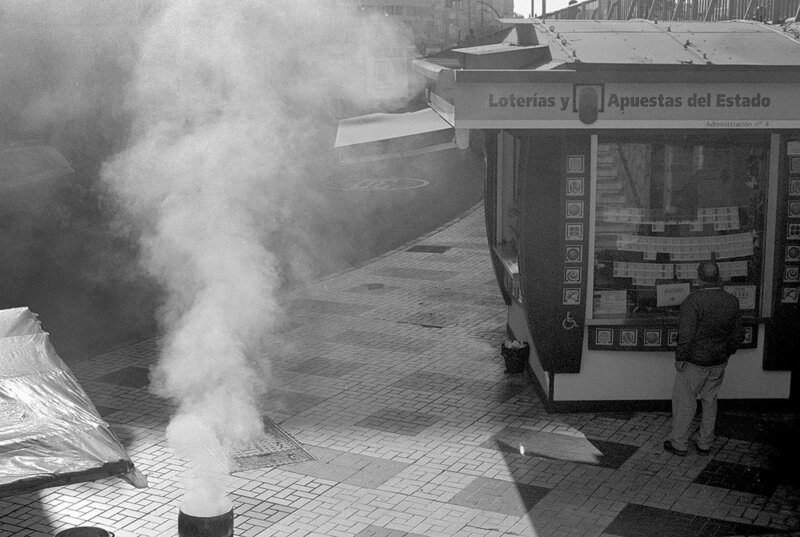 The developer was at an ambient 22c, and I souped the negs for 10 minutes with just a few calm inversions. As before, I shot with my Hasselblad, 80/2.8. 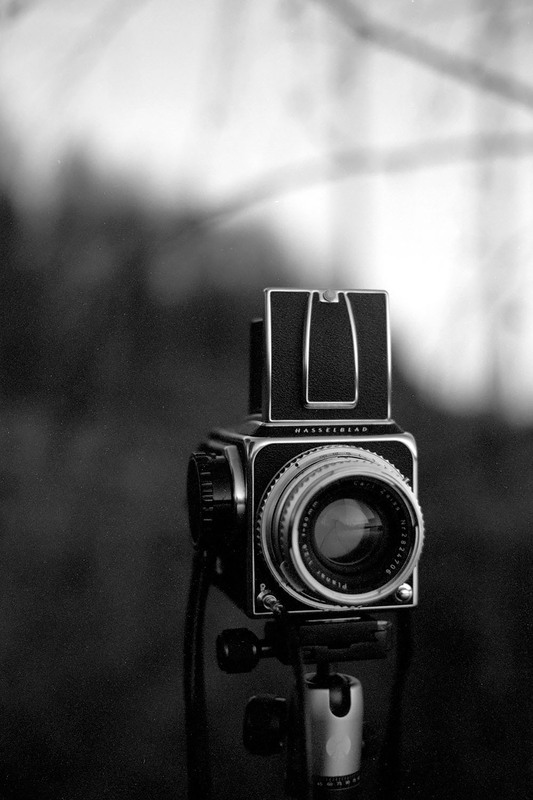 Hence the funky XPAN like form factor. The negs were very very thin. Second try, I tried again ISO25+12 and instead did 25c and 20min. The negs were much better, but still very thin. There was some weird wavy effects in highlights, and I remember reading that Gigabitfilm and Tech pan require VERY INTENSE agitation the first 30 seconds of contact with the developer.. I need to try this. Third and final try for this time, I increased the temperature to 30C and time to 25min. ISO12. Very intense shaking for the first 30 seconds, a few good taps, and then just one inversion per 5 minutes. The improvement was marginal at best. My metering might have been off since I used a flash. 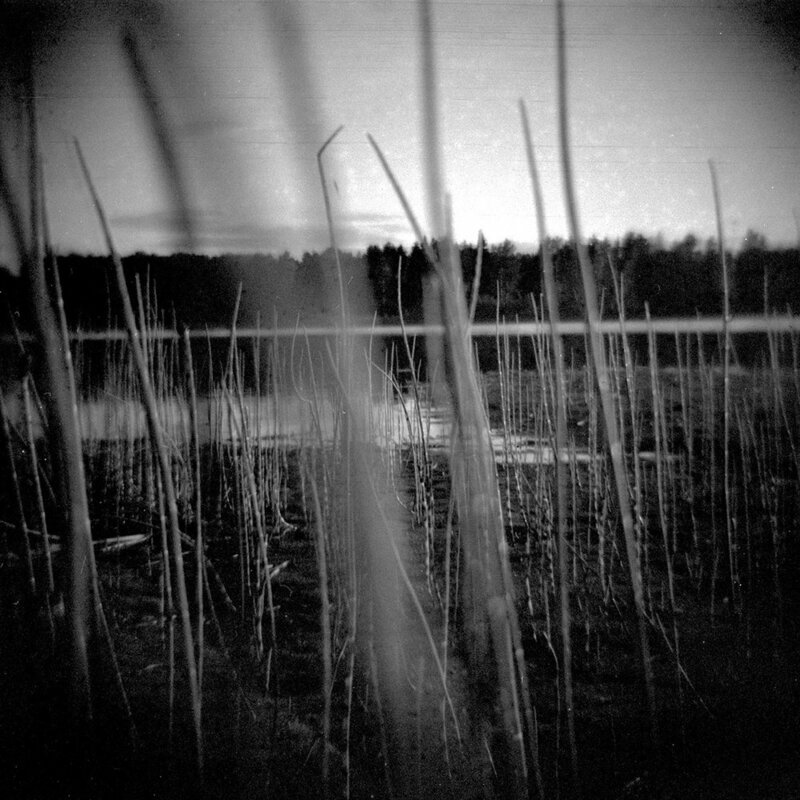 I also tried some long exposure ones, but I know nothing of the reciprocity characteristics of this film, so I did not adjust for it at all. But still, I find this surprising. With usual black and white development, an increase of 5c in the developer temperature HALVES the development time. 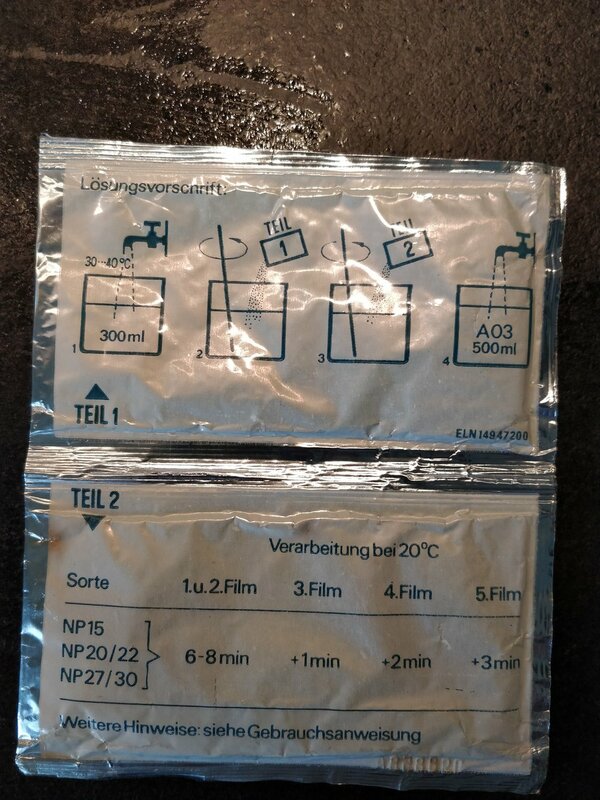 So 25min in 30c should equal to around 12min in 25c, and try #2 was 20min. Could it be the low agitation interval? Or is my C41 developer just plain dead now? It does however - have nice mids now. It’s very low contrast. After tweaking with levels in photoshop, you do actually get an useable image now with pretty mellow tones. If i were to use this film for pictorial work again in the future, I would probably increase the temperature yet again. But at some point the emulsion will start to melt. I would probably try 32c, 30min, and do agitation every 3 minutes or so. This is not a good general use film. 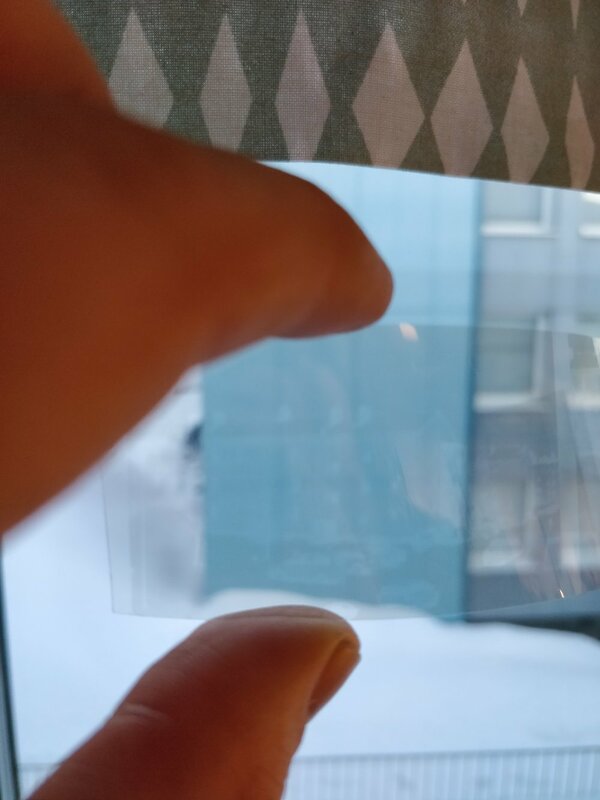 The film base is sooo thin, they attract every speck of dust within a miles radius, if you handle them without gloves you will get fingerprints, if you try to wipe them you will scratch the surface. You cant even wipe them with a microfiber cloth without scratching, that’s how delicate they are! Then there’s the fact that they are not perforated, it kinda sorta works using the ‘blad, but sometimes you roll too much into the film can, and then they get too tightly wound and you cant advance the film in camera. And you have to flip the camera 90c if you want a landscape oriented shot, otherwise you will get a portrait shot but very very tall. Which looks stupid, and is impossible to compose shots with. However, having said that, it is film that can be found very cheaply on the ebays. And it is fun to try out new things. And it is totally grainless and crazy sharp. If you have a datasheet on HDP13 I would like to have it please! If you have any experience of your own with Agfa microfilms, please write in the comments! “Adox CMS 20 II is fresh production Agfa-Gevaert HDP microfilm. The former CMS 20 (=Spur Orthopan UR film) is from a former version of Agfa HDP 13. “. Source. And for this, we can actually find a datasheet. As my regular followers know, I go to Japan once a year to visit friends and hang around in Tokyo. 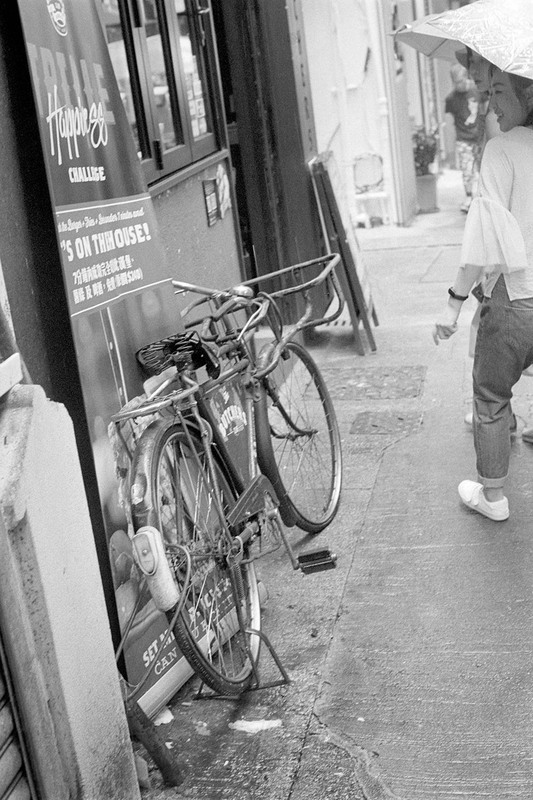 I usually swing by Yodobashi Camera to pick up some Fuji Acros and other Japan only films. There’s not much left out there, but I have previously picked up som Japan only developers. One of the two I have is Super Prodol or SPD, made by Fuji camera. Not much is know about it in the west. It is quite expensive to buy unless you pick it up yourself, but if you do it’s very cheap. I think I paid 290 yen for a liters worth of developer. That is something like $2,50USD. "Super Prodol (SPD) is a rapid processing, push process developer provided in dry powder package. The developing agent listed is hydroquinone (3.9%) which is probably augmented with phenidone or its derivative. The developer contains 70-90% of sodium sulfite, and buffered with metaboric acid (3.4%) and sodium carbonate (3-7%). This formula resembles Crawley's FX-37. This developer is likely to contain bromide restrainer or possibly other antifoggant." I have never heard of, or used FX37 in the past, so that’s interesting.. I also found that as a baseline for development times, you can look at HC-110 dil. B for the stock solution and dil. H for 1+1. I have tried both stock and 1+1, and can’t say I find much difference. Not that I have yet developed a lot of rolls, I think it’s just 4 at this time. I have found that pushing HP5 two stops to 1600, and developed in SPD 1+1 in 20c for 15 minutes gives great results. 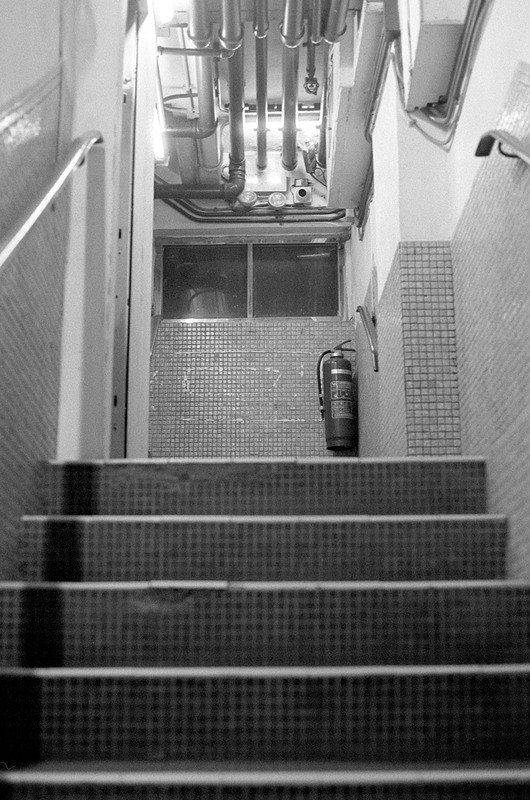 I also tried pushing HP5 three stops to 3200 and developed in SPD stock (20c) for 11 minutes gave great results. I think SPD is a really good developer for pushing. Neopan 400 looked also great, but my Neopan 1600 was a little aged and I think it got more base fog than it deserved in SPD. Here are some sample pictures. First off Neopan 400 shot at ISO320, it was developed in SPD 1+1 for 7min in 20c. 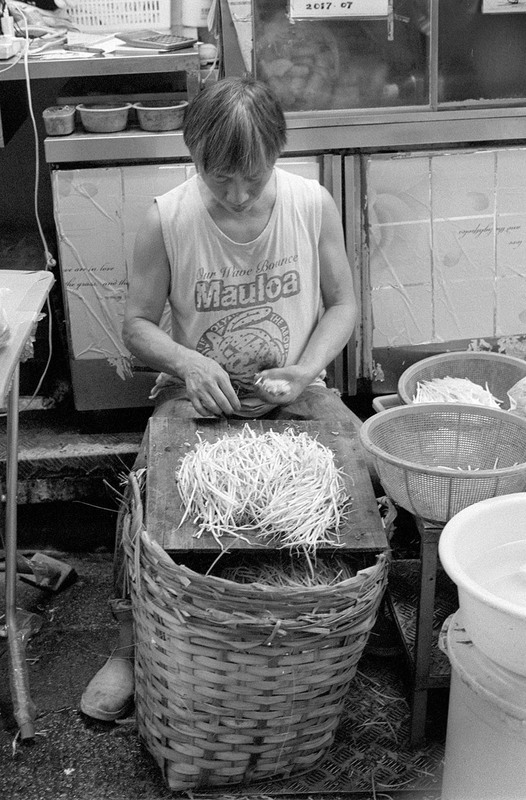 Here is HP5 pushed 2 stops to 1600, developed in SPD1+1 for 15 minutes in 20c. Here is Neopan 1600, slightly expired. Shot at box speed, developed in SPD 1+1 for 6,5 min in 20c. 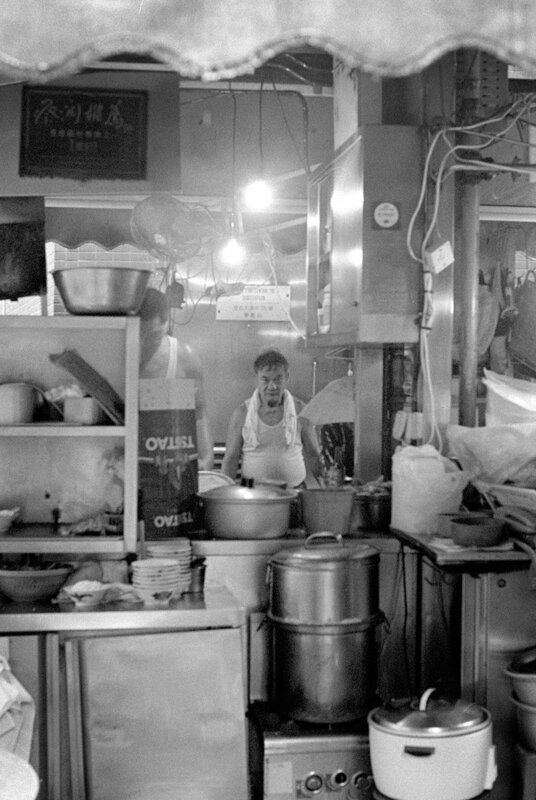 Lastly, here is HP5 pushed three stops to ISO3200. Developed in SPD stock for 11 minutes, 20c. I think SPD works great for medium speed films, 400 ISO. Both HP5 and Neopan 400 look just fine. I can’t say it looks much different than say, D76. But it really does come into its own when pushing film. There seems to be more shadow detail, the grain feels controlled.. I am not sure, but it does feel alright. I mixed up this liter back in October, it is now late January and the developer looks to be totally fine. It has changed color from a clear liquid into a very light yellow one. So shelf life seems to be fine. It comes in powder form, in sealed packages, and based on my experience these will last forever. When it comes to developers, there is usually quite little difference between them. People would like to think that there is more difference than there actually is, because it is one of these things analog photographers like to quibble about, and have heated arguments about Rodinal and which developer is the best for pushing film. But I have used a dozen different developers and I can barely see any difference between them, really. And whatever the differences might be, you need to use that developer for a long time before you can really see what it is all about. I’ve done something like 5 rolls now in SPD and that is just not enough for a proper review. But I like writing these posts, for my own sake if nothing else. And finding the development times can be tricky for this one, so maybe it will help someone. Alright, write in comments below if you have any questions. Until next time! Fuji films have a cult following, even though Fuji kind of ignores its fans and keeps discontinuing more and more films. Few films are as known as Velvia, or Fuji Acros. Velvia is still around, but who know for how long. I give it a couple of years, then I think Fuji will discontinue all of the film production. 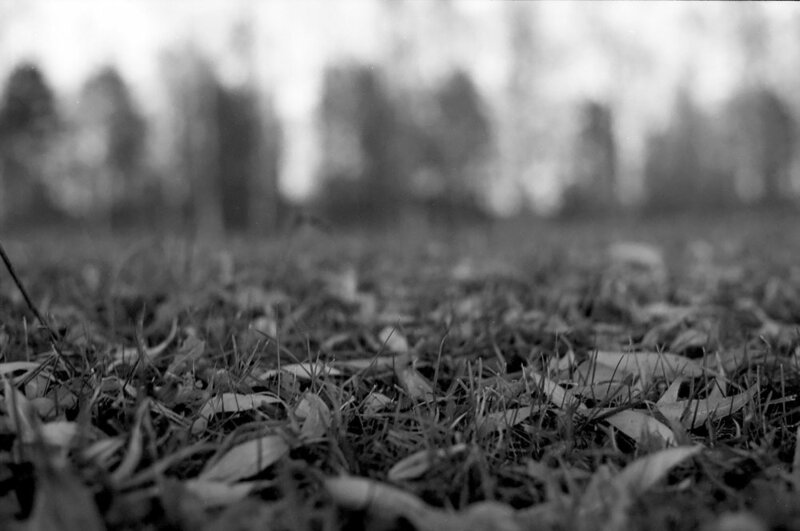 Anyhow, this blog post is about one of the fallen ones, Neopan 400. 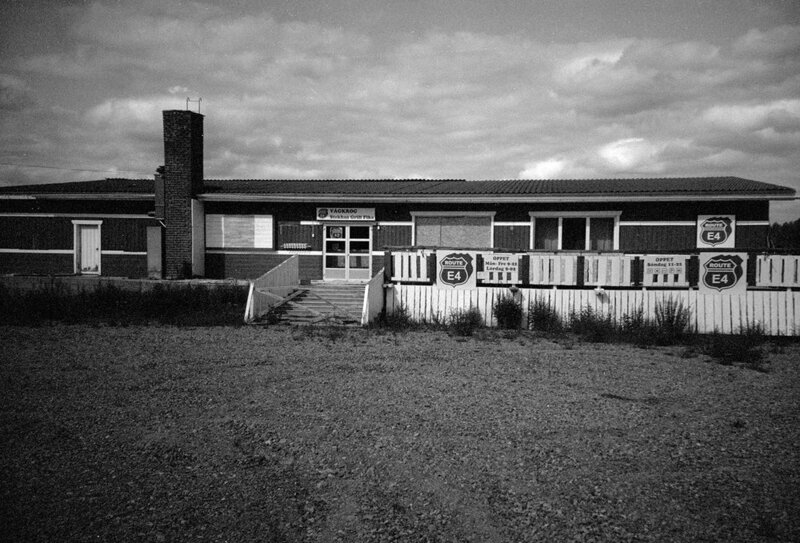 When you talk about Neopan 400 with someone who has shot it in the past, they get misty eyed and start reminiscing about its tonal scale, it’s great grain, how fantastic it was to push process. 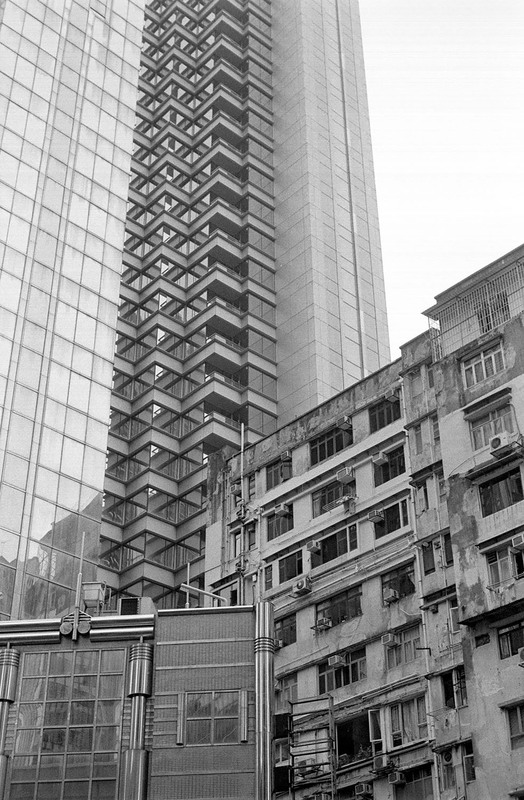 I have recently aquired around 15 rolls of pretty fresh Neopan 400, and have these past few months managed to shoot two of them. One was developed in Fuji Super prodol, aka Fuji SPD, 1:1. 20c, 7 min. The other one I did in HC110 dil. E (1+47) for 8min in 20c. I have not yet tried any push processing, but I might. I think SPD might be a good fit, of which I have a few packs left (I’ll write about this Japan only developer at a later date). The first thing that hit me was how it renders blue skies, they are a bit less white compared to other films I have used. Slightly reduced blue sensitivity or just great highlights? I don’t know. It seems to really keep detail in the highlights anyhow. Grain in SPD is around the same as HP5, in HC110 it is less than HP5. Around same as Tmax400 I’d say, but with better tonal scale. I prefer it in HC110 I think, but looks like I got a little bit more speed out of SPD. Should have shot the HC110 at ISO320. I really like this film. It shares a lot of its characteristics with Acros 100, and I can very easily get the type of feel to the images that I want. I just set white and black point and pull the midtones down, way down. 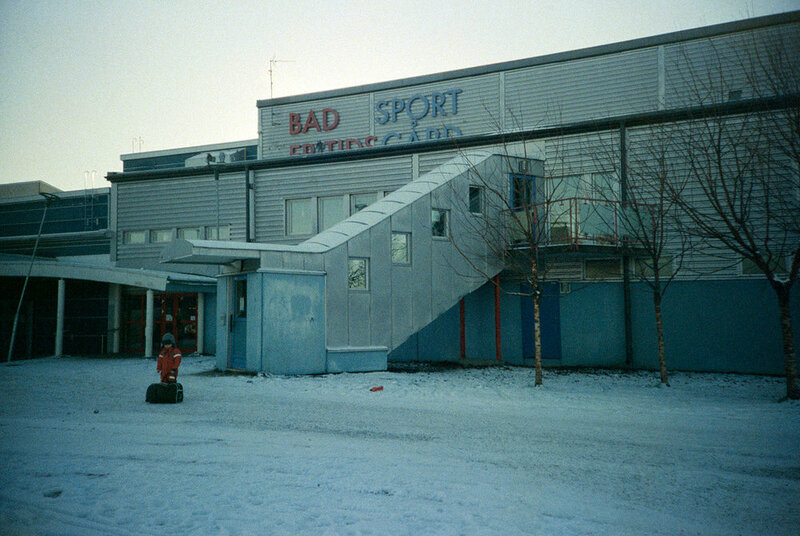 And it look so rough, grim, sad. 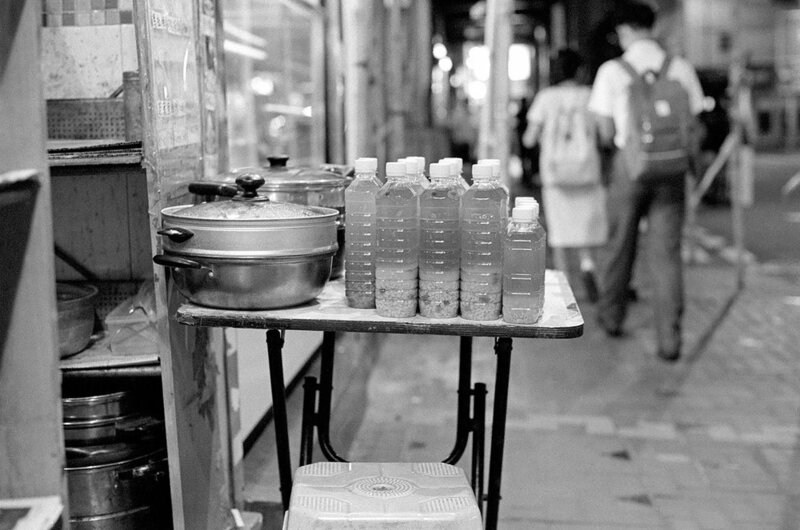 It evokes exactly those feelings in me that I often want to portray with my images, the underbelly of the big city life. The loneliness of being in a big crowd, the absurdity of the way of life in a modern big city. Alright, that’s it for today. Let me know in the comments if you have any questions or thoughts. Another “new” film, this time from Russia. The short version - this is not Agfa Aviphot. The long version: this is one peculiar film. The film base is thin, way thin. It seems to be polyester based, so it has this papery feeling that it might rip. And if youre not careful, it probably might. Also you should be careful of light piping, since its so thin the felt gap is not really enough to safely protect the insides from light. 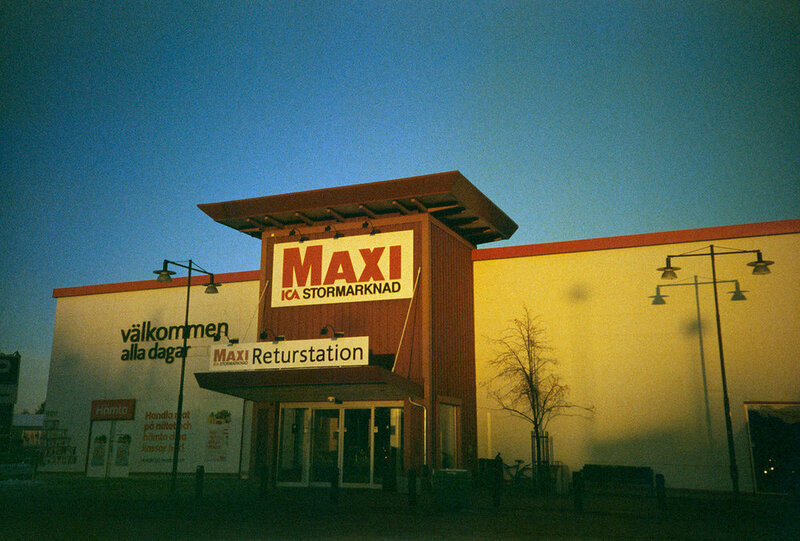 I got this film pretty cheap, I paid only 92SEK for 2 rolls, so around €4,50 per roll. I’ve seen very varied prices online for this stuff, but I wouldn’t pay full price for this film. It’s a fun experiment, but nothing I would use for important stuff. The reason for this is that it is quite grainy for an ISO200 film, it has this “salt and pepper” type grain which means that you get a bunch of white dots in the shadowy areas. It also seems to have pretty low blue sensitivity, which leads to quite dark and dramatic skies and shadows. Contrast is pretty high. 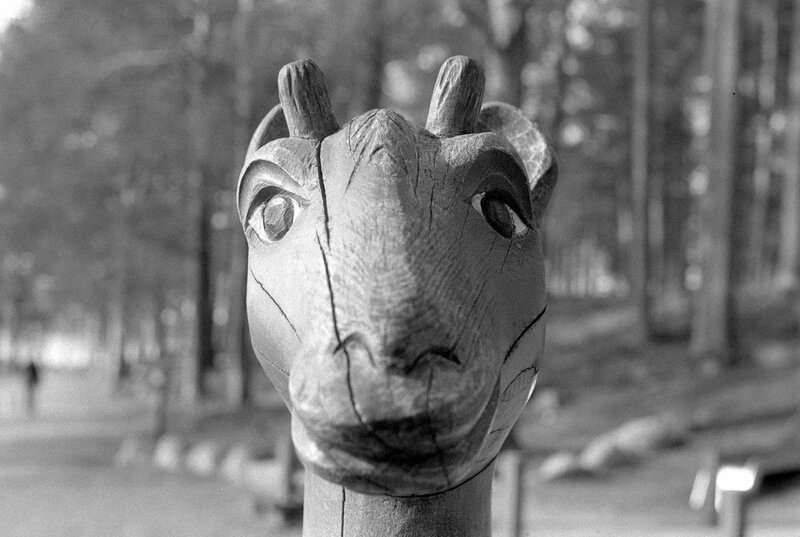 I developed this roll in HC110 dil. B which gave a development time of just 3,5min in 20c. I try to avoid such short development times since temperature and timing becomes much more important. But I couldn’t find any reliable development times other than this one. I have another roll so I might try some other developer or dilution at least. Alright, time for pictures, can’t say I can at this stage say much more about this film, but I am looking forward to shooting the other roll with the Pentax LX. 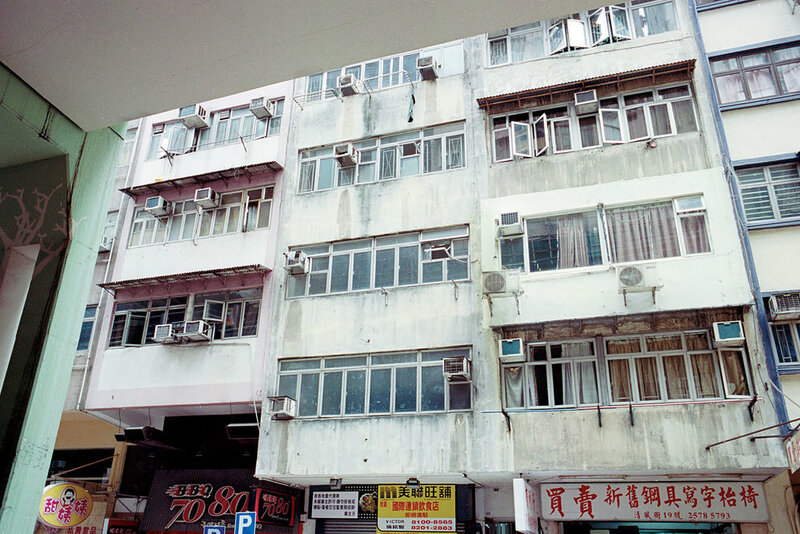 These pictures are with my Lomo LC-A. After a year of experiments and different methods I have now found a development method I am so satisfied with I won’t try to improve it. So I will write it down here, for safekeeping. Expose with 1 stop over per decade of expiration. So if it expired in 1998, that is two stops extra. Svema CO32 is ISO32, so by this rule of thumb you should aim for something around ISO8. I shot a roll of 16mm at ISO12 and it turned out fine too, but you can probably reduce development time with a minute if you do ISO8. 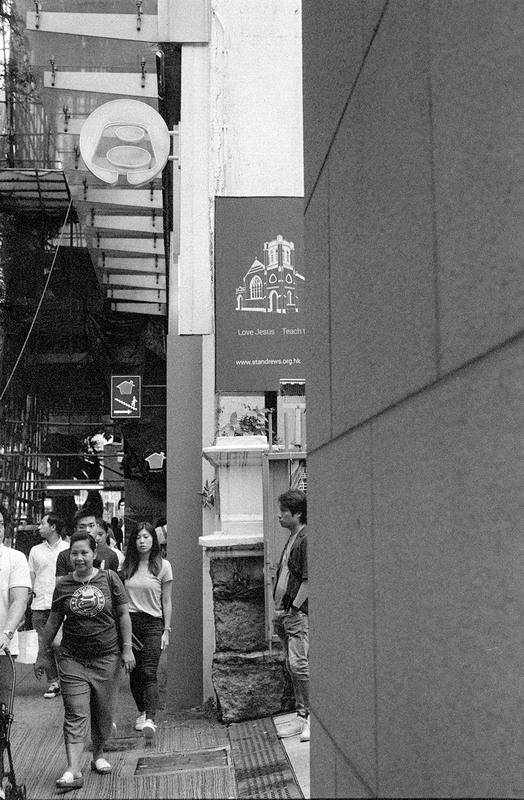 I developed in D76 stock, D76 1+1 and HC110. All turned out fine. With D76 stock I did 13 minutes in 24c. I think results are better at 24c than 20c. Just reduce development time accordingly. I also added 5ml of Benzotriazole (BZT) 1% in 500ml, that is 1 part per 100 should be BZT 1%. You can probably increase this, and prolong development time accordingly. BZT is a restrainer that helps with the base fog. After this, fix for normal times for your fixer, and here now comes the trick. After fix, bleach the negs in Povidone-iodine (PVP-I). This is the orange stuff they use in hospitals to clean cuts. You can get it in stronger version and larger bottles from veterinary supply stores. You want at least 5%, anything less and you will not bleach it in a reasonable amount of time. Let the negs sit in the PVP-I for at least 12 minutes. I found that after this you get benefits but diminishing returns. Now fix the negs again, for your normal amount of time. Wash, dry, and we are done. For 35mm this is totally not worth it. 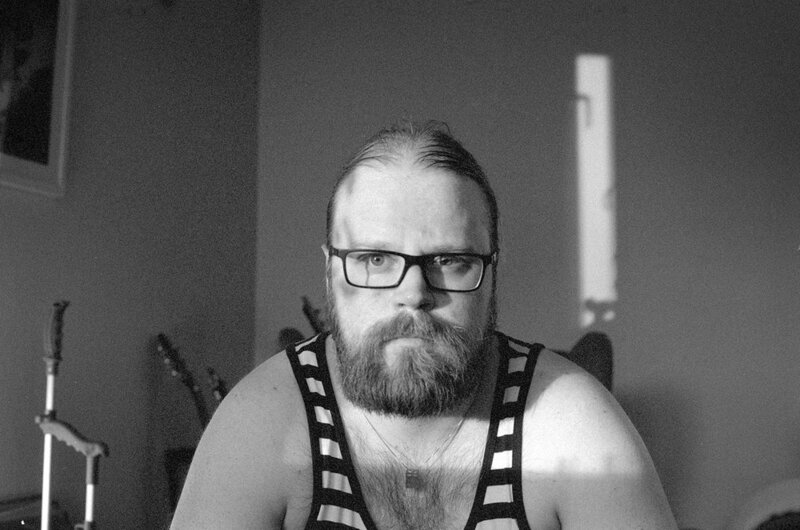 If you want to experiment with russian film, get something that was black and white to begin with. However, there is a good supply of expired 16mm films out there in the old Soviet bloc, and this can be a cheap and cool way to do some cine stuff. I also tried to bleach with citric acid, without results. I tried to bleach before dev, and got blank negs. I tried weaker bleach, shorter times, no difference. Without the BZT the base fog was greater. For over a decade I wanted to have the Pentax LX. Instead I got a MX.. and then another MX.. eventually both of them starting developing problems. Neither of them really do shutter speeds faster than 1/250. Mirror got sticky. One started eating a pair of batteries per day. I started to feel like I am holding on to these two bodies just for nostalgia, it was time for a new work horse. Looking at the LX prices, it felt like it wasn’t really such a big deal. I wanted a tool for my trade, one that I can rely on. And the LX is probably the most professional camera Pentax ever built. So I got one on a local auction site. Mirror was slighly misaligned, because the mirror resting pad gets all mushy and eventually crumbles to pieces, and there is supposed to be a millimeter thick pad there. But found a great guy to do a CLA (Clean, Lube, Adjust) in Stockholm for decent money (shoutout to analogakameror.se, really nice guy! ), a couple of weeks later I had a working LX body in my hands and was ready for my yearly big asia trip. The killer feature for me is the built in dioptry adjustment. So nice since I wear glasses! All in all, it’s a fantastic little camera for the film photographer, and I can highly recommend it. But I can also highly recommend the MX, just find one that works. And please guys, don’t forget to service your cameras! Found a Kiron 24mm f2.0 cheaply and since I don’t have anything wider than 28mm for my Pentax system I thought it would be a nice lens to try out. I have read that it is very soft wide open, and that it has some issues with the coating coming off, and I can agree to both of those statements. The lens that I have seems to have permanent polish marks or something on the front lens, and there is either a lot of dust or something else in one of the middle elements. A dreamlike quality, very soft indeed but pretty cool in a way. Not bad sharpness actually, it’s not crazy sharp like my K28/3.5 but good enough. Just a short post this time, so that’s it! 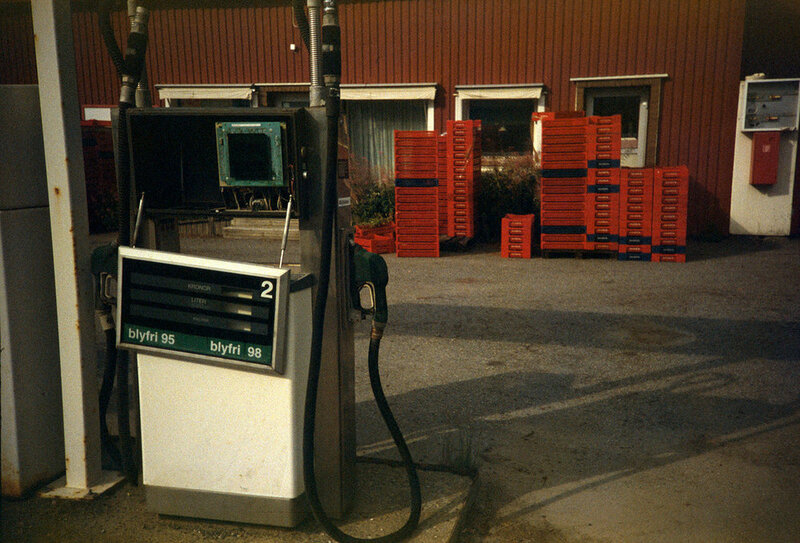 Short version: It’s Agfa Aviphot Pan 80. Also sold as Rollei Retro 80s. Longer version: Maybe you are not familiar with the Aviphot line of films. They have been made for a long time Agfa (who are actually still around in a way). The films come on a clear polyester base, have extended IR sensitivity and harsh contrast. It had something to do with how aerial photography works, it’s taken from straight above straight down, so there are no shadows. Silberras Pan line of films are also Aviphot, and JCH Streetpan. Anyway, what I have concluded about all the different Aviphot:s I’ve shot is that they are difficult films to work with. The harsh contrast, bad shadow detail and extended IR-sensitivity lead to images having blown out skies, too bright skin tones, no shadow detail. All of them benefit from some pull processing, rate at maybe 0.5-1 stop lower, develop for ~15% less than instructed. QC seems to be a bit lacking also, there is some strangeness here and there on a few frames. So don’t shoot anything really critical with this film..
As you can see it looks very grainy, consdering it is an ISO100 film. And the grain is not uniform and small like HP5. But if you look at some other examples here below you can see it is sometimes very smooth. All the Aviphots dry very flat, and very quickly. That is a nice plus. They are pretty easy to scan too, maybe since they are on a clear base. D76 1+1 looked worse than HC110 I think. Here are some shots of D76 1+1. Some good sides of Astrum is that they come in reusable cartridges, the old USSR type that have a screw top you can just open up by twisting. Also, it’s cheap. If you use a red filter I suggest giving it a stop or two more light than the light meter says. Always err on the side of overexposure, the grain in the shadows is not nice. All in all, if you find this film cheaply and you havent tried any Aviphot - go for it. It’s not crap. There are just better films out there. That’s it from me this time. As always, would make me happy if you dropped some comments on your thoughts! As usual I went on a Asia trip again this September. A couple of days in Hong Kong, then over to Japan, a few days in Kyoto and then up to Tokyo to hang with my friends and have fun. Though I’ll do a little photo dump every now and again with a larger chunk of pictures taken from a certain place, beginning with Hong Kong. The 11th roll from one liter of C41 chems that are 3 months old (4 bath, separated bleach/fix). Added 30s of development time. Shot a quick roll as a test of a new camera and to make sure that the chems are still in order before doing any important development. Thought I’d share this quick post to show the film in different temperatured light with adjustments done in Photoshop. In my mind, you can do so much powerful color correction these days in Photoshop so if you are using a hybrid process you don’t have to worry that much about color temperature really. There’s some pretty compelling evidence online that JCH Street pan is actually just rebranded Agfa Aviphot 400, that got discontinued a while back. 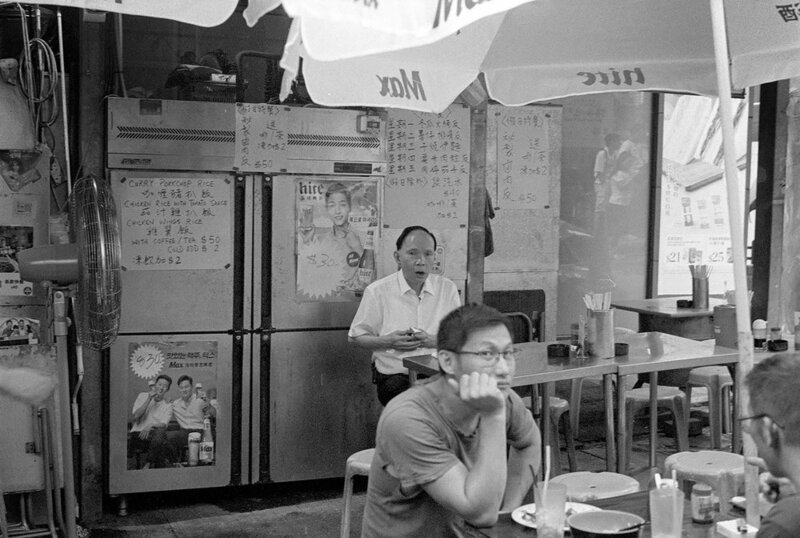 This film stock can also be found under the brand name Rollei Retro 400. I am not at all surprised, since it has that same kind of feel that the other Aviphot films have, with the clear base, extended IR sensitivity and hard contrast in shadows. Googling around I found some forum post where somebody mentioned that the language in the specs were similar so I compared them, and yes, indeed, it seems Bellamy Hunt has pretty much just copy pasted the Aviphot description. In an upcoming blog post I will write about Astrum Foto 100 which you can get pretty cheaply online. People claim it’s old Svema film stock but nope, its just respooled Agfa Aviphot 80. I am pretty sure of it. 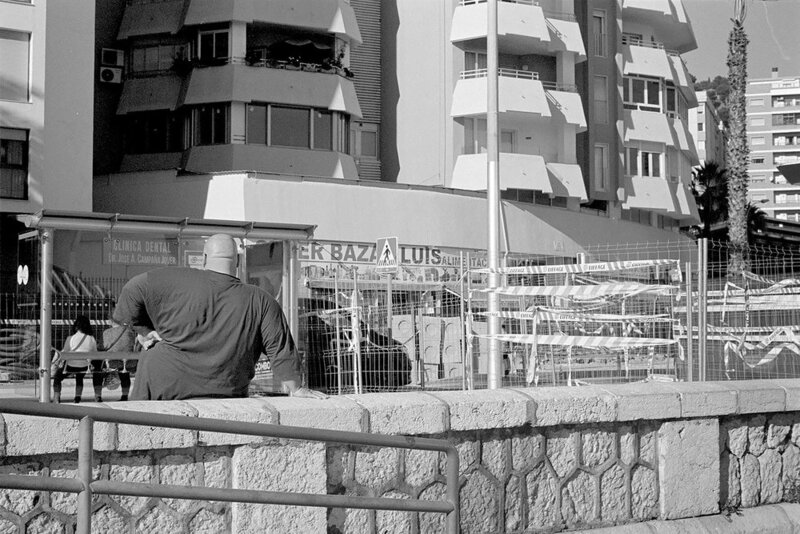 It feels and looks almost identical to Silberra Pan100 which is, surprise surprise, also Agfa Aviphot 80. This seems to be a trend currently, where the Aviphot stuff is rebranded into all sorts of other names.. I happened to come across a bag of ORWO A03 developer for black and white films. Since I have a load of Orwo films I am currently doing experiments on and trying out, it felt like I should try to do a Orwo + Orwo combo of film and dev. Information about this developer is hard to come by, with very little facts. But here is what I have gathered from various internet sources. A03 is a phenidone hydroquinone developer designed for tank development. A03 was designed as a gamma constant developer, which means all films had the same development time. It used to also be available as Calbe A03 and Argenti A03, after Orwo "closed down". It seems that Orwo A03 is the equivalent of Agfa Refinal. 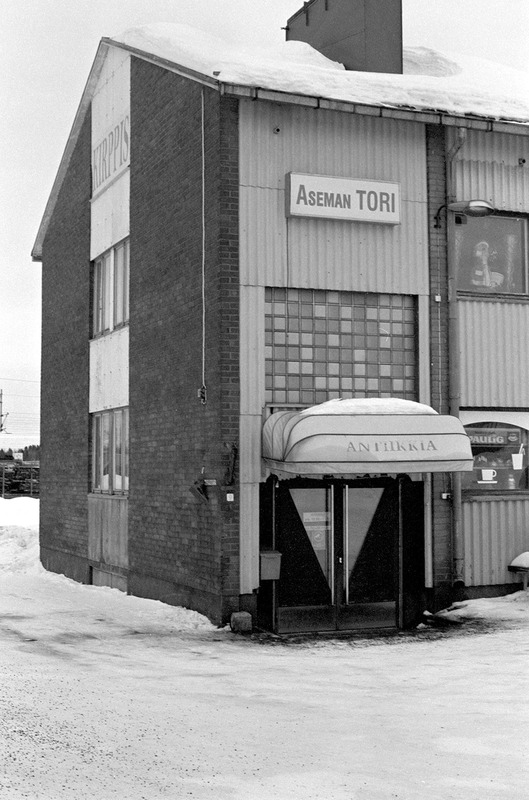 (The history of Orwo and Agfa is complicated and suitable for another blogpost). 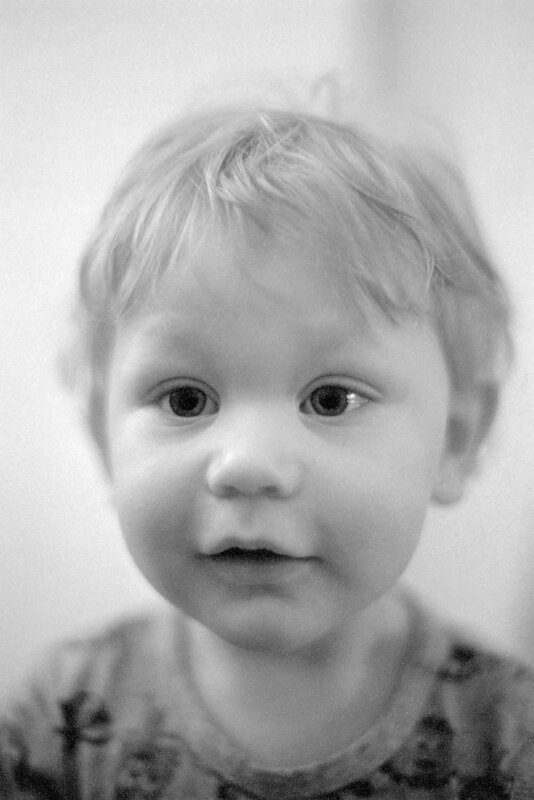 People say that overall, A03/Refinal is similar to Ilford Microphen, which is however a developer I am yet to try out. "Allround very high yield balancing developer in powder form which, as drum, small tank or tray developer and – with proper replenishment – as deep tank developer, will ensure a consistently high speed yield and uniform gradation over particularly long periods. Refinal produces fine grain and sharp contours. With replenished processes – approx. 14 ml replenisher per 135-36 film: 71 films 135-36 with 1 litre replenisher. Yield without replenishment: • 10 – 12 films 135-36 or rollfilms 120 per litre • 50 – 60 sheet films 9 × 12 cm per litre (= 0.5 – 0.65 m²) Replenishment: see page 11. The developer can be kept dry in the original pack at room temperature for at least two years. Unused fresh solution will keep in brimful tightly capped bottles for about six months. Used developer should be stored separately from fresh. The life of used developer is reduced to about three months. The life of replenished developer in tanks with floating lids is at least twelve months." The safety data sheet for Agfa Refinal show it to be a borate buffered P.Q. (phenidone and hydroquinone) fine-grain developer, which matches pretty well with what I have found about Orwo A03. The Agfa Rezepte book I have does not contain any information about Refinal and there are no recipes that use Phenidone at all. All the recipies seem to use Metol, or as they call it Agfa Orwo Metatyl. This book is from 1960. Information I found online points at Phenidone recipies from Agfa/Orwo showing up between 1960-1964. Here are some sample pics. 135 is NP22 and 120 is NP20. 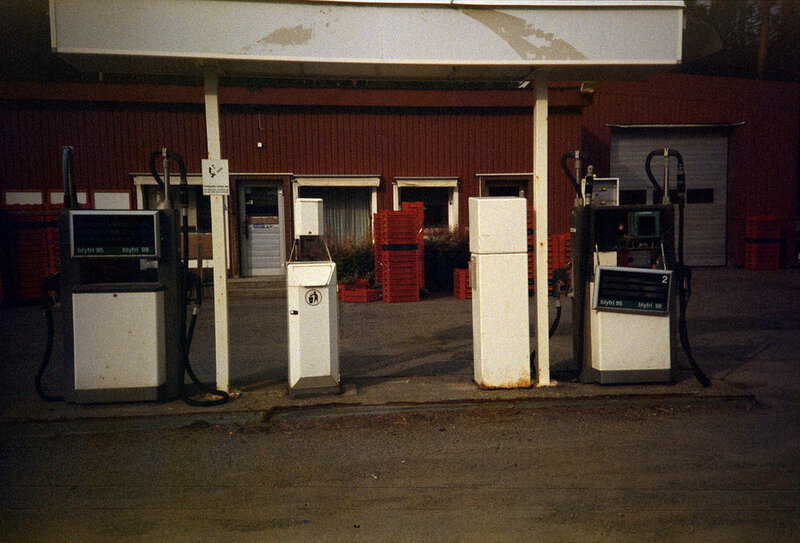 Both developed for 8 minutes in 20c. I developed three rolls of the 500ml batch I mixed up before discarding it. 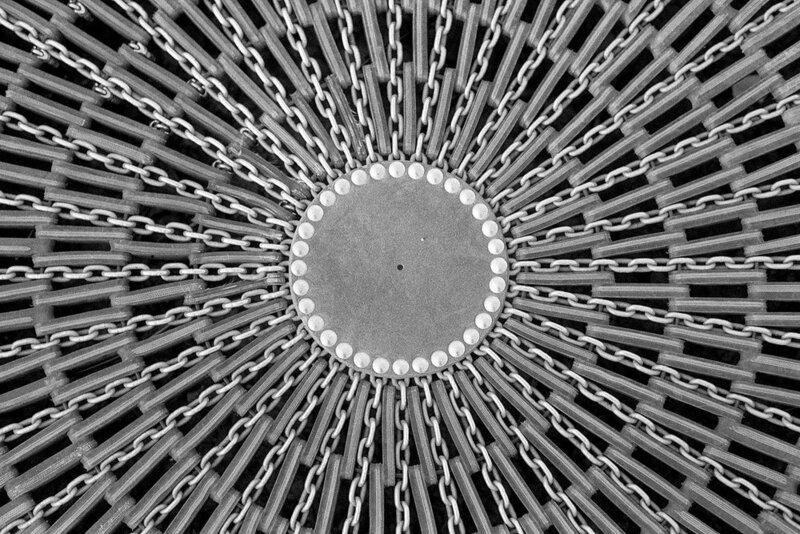 And here is a 100% crop from one of the 35mm images. 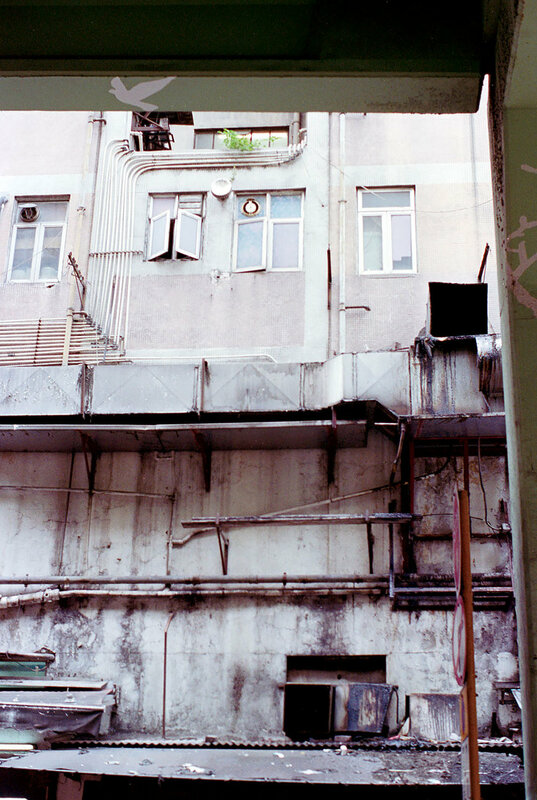 Shot with a Lomo LC-A so I recommend looking at the grain more than judging image sharpness of this picture. 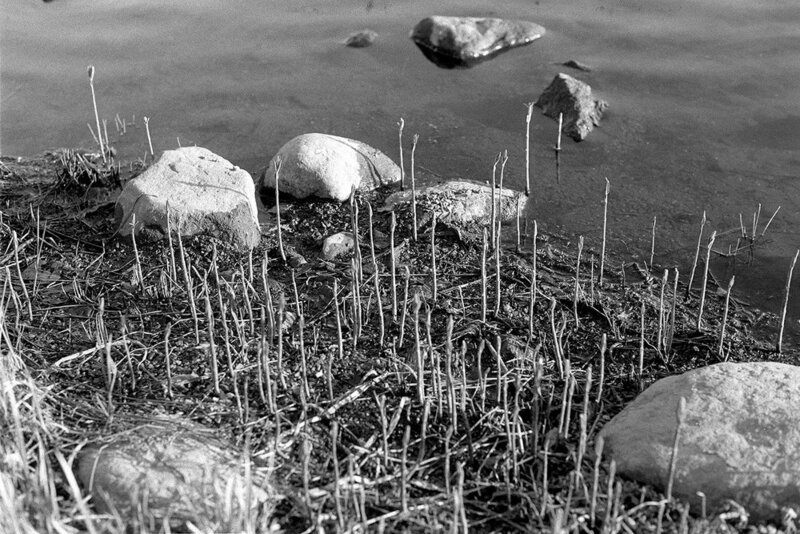 Here are some shots from a roll of 35mm ORWO NP22, expired in -91. Shot it at ISO32, down from original ISO125. This roll has been well preserved, it wouldn't have needed this much overexposure. Almost no fogging, no weirdness. A little grainy for such a slow film but, otherwise just fine. Don't have that much else to say about this right now, here are some sample shots. Here are some documents that comes with ORWO rolls. I got a couple of bulk rolls of 500T a while back, and I just mixed up a fresh batch of C41 so it's time for some color negative work again. Unfortunately the first two rolls got underexposed/underdeveloped so it was a bad combination that lead to almost non existent negatives. 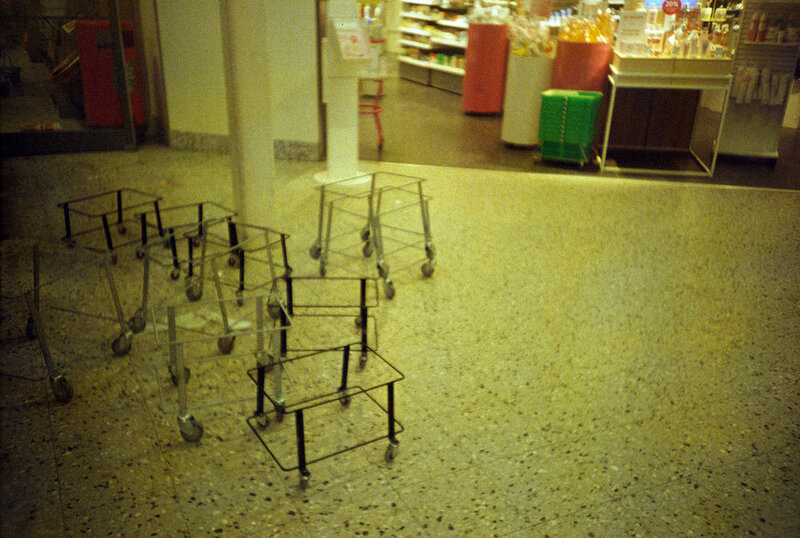 The second time around I pushed the developed with an extra minute and got better results, but it seems that shooting this at ISO400 is just not enough due to its age. This stuff was produced in 2006 so it's expired over 10 years ago now. Notice I said Vision 2 and not 3..
Will next try to pinpoint a good ISO instead of just taking this stuff with me to travels and then coming home with empty rolls, so frustrating.. I also got a remjet removal (ECN-2 prebath from Nik & Trick Photo Services over in UK), and combined that with my washing soda treatment. I think I have nailed down now the remjet removal part of the process. Just some specks left on the edges of the frames but nothing like before where there was a lot of smudge all over the place. I'll let you know these experiments progress. As always, drop a comment if you want to know more about anything. 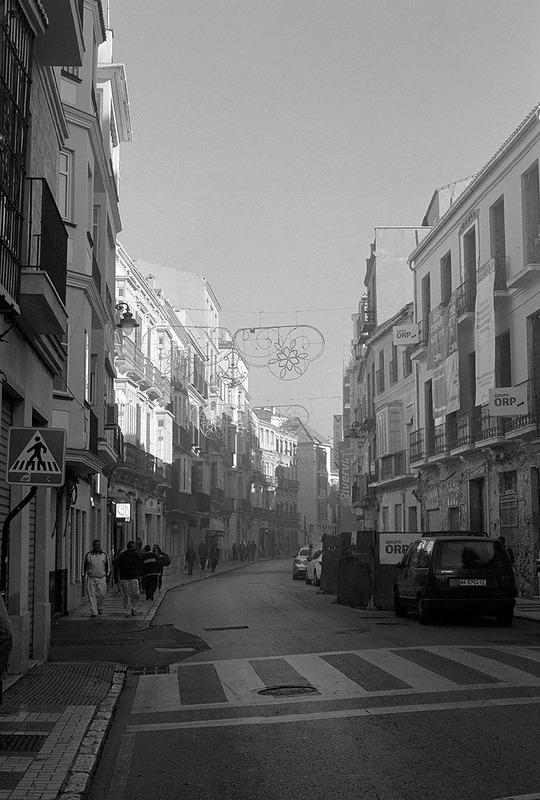 Just a short blog post this time about the Silberra films. Tried the Pan200 I had underwhelming results with last time again, but now with Hc110 and a real SLR instead of the Lomo LC-A. I couldn't find any development times for HC110 so based on the other times I did a guesstimate at 8min (20c) and I would say that was a pretty good guess. I'd say it develops just fine in HC110, no big difference compared to D76. There is some grain, but it's not bad. Scans easily, all in all pretty good but no real difference compared to PAN160. Inside a roll of Svema CO32D comes this piece of paper. I cannot read russian, but I thought it might have some value for someone at some point in time.